When you have sensitive skin, finding a cleanser that works well with your skin is easier said than done. Most brands also offer multiple kinds of cleansers, lotions, and creams, but which one will give your skin the love it needs? You never know how your skin will react to a change in your routine. While a patch test is useful, we recommend learning as much as you can about the products you want to use before you incorporate them into your skin care routine. To help you decide, we’ve pitted 4 best-selling Sebamed cleansers against each other to see how they stack up. Keep this list handy when shopping on our site! Our Liquid Face and Body Wash is a classic! As one of our flagship products, it contains no trace of soap or parabens. This wash is so gentle that you can use it on your face and your body, and it protects your skin against conditions, such as eczema and psoriasis. Like the rest of our range, Liquid Face and Body Wash balances your skin’s pH while helping you maintain healthy skin. 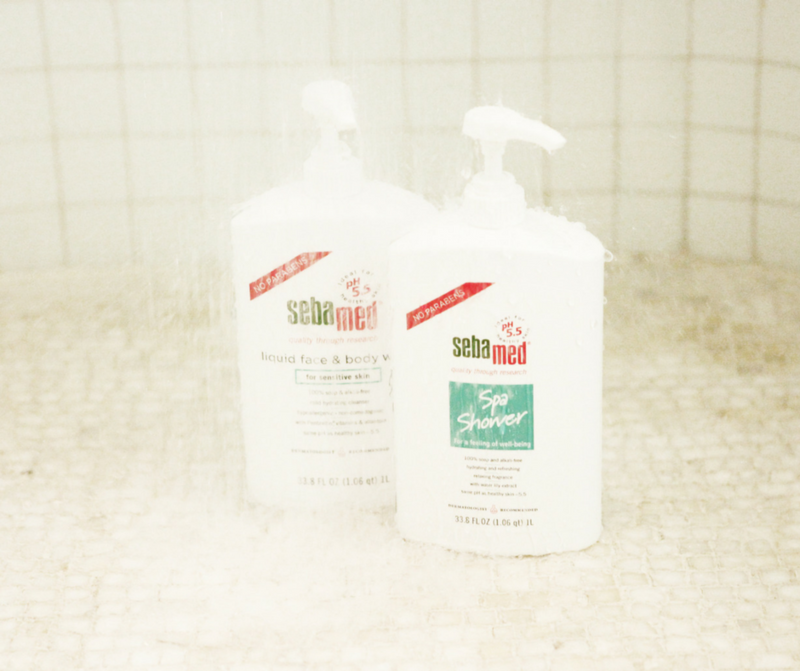 This Sebamed cleanser is perfect for those of us who are sensitive to fragrance. It contains no scent whatsoever, but doesn’t skimp on hydration. We would also recommend our Gentle Hydrating Cleanser if you suffer from extremely dry skin. By shielding your skin from environmental pollutants, it helps you heal with with confidence. Our Olive Face and Body Wash is quite similar to one of our other Sebamed cleansers. Much like our Liquid Face and Body Wash, Olive Face and Body wash is incredibly gentle. It’s been known to help clear breakouts and restore hydration to the driest of skins. Plus, the olive oil in the product leaves your skin feeling extra luxurious. Looking for an at-home spa day? Our Spa Shower always delivers. Its calming waterlily scent and pH balance of 5.5 help to relax both you and your skin. Many people who love Spa Shower notice softer-feeling skin with every use. While it’s great for the body, we wouldn’t recommend using it on the face, since it’s quite a bit thicker than other Sebamed cleansers. Whether you’re just looking for a new cleanser or want to revamp your entire skin care routine, Sebamed can help. Our range of products gives your skin the love it needs by bolstering your skin barrier. Check out our full lineup here.